NATSIHWA hosts annual regional forums, in every state and territory. These day long forums offer an opportunity for Aboriginal and Torres Strait Islander Health Workers, Health Practitioners and other interested health sector staff to come together to discuss regional priorities, develop new skills and network with key health stakeholders. 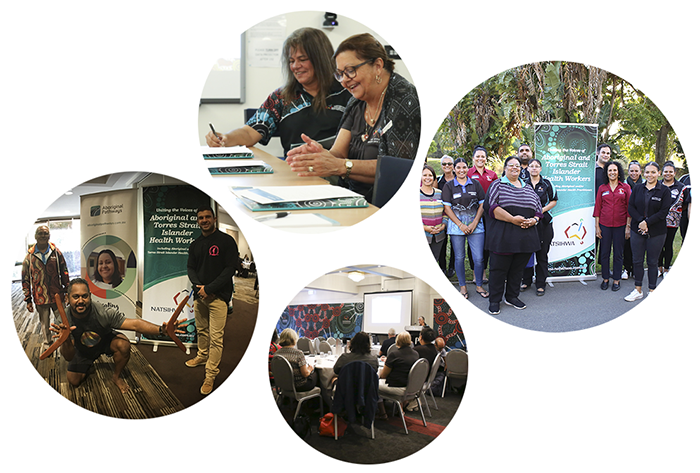 The forum sessions build the capacity and skills of our Aboriginal and Torres Strait Islander Health Workers and Health Practitioners to deliver health care, helping to close the gaps in health disparities in their communities. Please look at our calendar of events and register your interest in attending a session. These forums count as Continuous Professional Development (CPD) hours for health professionals.